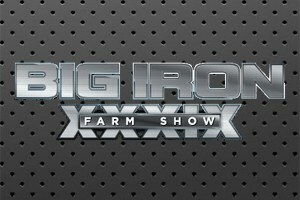 Everything is big at Big Iron – machinery, grain bins, trucks, attendance and more. The Big Iron Farm Show was held September 11 – 13, 2018 in Fargo ND. Carol Peterson attended the 3 day event to provide health and safety outreach to this area of the Upper Midwest. UMASH exhibited our resources which focused on the Farm Safety Check, Needlestick Prevention, and Signs and Symptoms of Stress. Carol engaged attendees in an informal poll to see what areas of injuries and “close calls” occur in this part of the region. Big Iron was a great opportunity to emphasize National Farm Safety and Health Week and our Farm Safety Partner Campaign, which drew much interest from many organizations. Big Iron allowed us the opportunity to grow our partnerships with those who care about agriculture safety and health… a chance to Go Big for farmers and those working in agriculture.